I read a blog post this week on Balance, and thought it was a good basic encouragement. I liked that she exhorted her readers, specifically young mothers, to work against the excesses they are prone to. That was solid counsel, as we should all make efforts to work together with God to better bear the image of Christ, and she also reminded that balance does not mean perfection, to which I say "Amen". But it did cause me to think about whether a Balanced Life is an inherently biblical concept. The concept of Balance, defined as "A condition in which different elements are equal or in the correct proportions" as a goal, or a measure of spirituality, concerns me a little, just as seeking Health, Financial Security, or Education as a goal concerns me. I think it is, well, just slightly...off. The Lord hasn't seemed too concerned with those particulars in my life, but gives me what I need of each, as I need them, often not in consultation with me or with regard to my personal preference. He has that authority. I am bought and paid for. And with that authority He calls me to follow Him wherever, however, and into whatever He leads; whether that includes my definition of Balance is up to Him. My job is simply to follow Christ. I personally do not aim for Balance in my life as a means to, or demonstration of, godliness. I get the sense that it's like aiming for the moon but being off by some microscopic, invisible measure at take-off; the result being that with enough time and distance one ultimately misses the target altogether. Instead I aim for being a good and faithful servant to my Master, maintaining an all-consuming obedience to the written and specific wills of God in my life as my act of gratitude, service and worship. It's up to Him if that includes Balance or not. I do not find one reference to 'balance' in the Word of God (that refers to this idea we have). I do find over 200 references combined to 'obey', 'obedience', and 'serve the Lord'. And when I look at the many examples of the faithful both in the Word and in the world, often their lives are most worthy of imitation because of their lack of Balance. Balance can be an idol as much as anything else. I saw an exhortation toward the Balanced Life that used 1 Corinthians 14:40 "But all things must be done properly and in an orderly manner." That certainly sounds compelling, except that the context for the entire chapter is the exercising of the gift of tongues in the assembly, not a call to doing everything in equal measure. There are things the Lord would have us do and we dare not shy away from fear, external or internal, that our lives may be "unbalanced". So what if we are? An "unbalanced" follower of Christ may get called a zealot; today the term might be Jesus Freak (or maybe that was yesterday's term). Either way, I suspect that anyone who sincerely desires to serve and obey God's written word will be labeled this by somebody. Noah would not have been called balanced, neither would have the Apostles nor those in the first century church. Believers in countries where following Christ is illegal die daily for their "imbalance", but our call to do as we are commanded does not change. The Lord demands and deserves our devotion and we live in a world that finds that disturbing. so that we would walk in them. As I think about it, I have found that there have been many times when God has called me to be extremely out of Balance to obey what He wants of me. I simply cannot do everything, nor can I do it simultaneously, so a large assignment requires a large change in what I can spend my limited time doing. In addition, the Lord orchestrates the adjustments, tests, and trials of life and only the light ones fit neatly into the family calendar. They almost always either cause or require a lack of Balance that is ordained. Some examples of people whose life should not be balanced are: the new mother, the pastor of a church in crisis, a student needing to complete coursework for graduation, the new or old believer convicted of sin and needing to make sweeping changes in lifestyle, the sick or the family of the sick, the grieving, the newly married. However, as He is perfect, He does not ask us to disobey one command in order to obey another; He does not contradict Himself. There are things which we are always called to, and I can assess, to a degree, whether or not I am living in obedience to Him by whether or not I am attending to those. I may be called to a task or ministry for Him for a lifetime or a season, but it will never be at the expense of my relationship with the Lord, my spouse, my children or those I fellowship with. Now that is not to say that our relationship might not be altered, but He who works in me also works in my loved ones while I, and they, pursue whatever other specific calls He gives us. Imagine you're swimming leisurely in a lake, enjoying the sun, and a gentle breeze, all is right with the world, and you are relaxing to the quiet sounds of water lapping the shore and birds in the trees nearby, when suddenly someone is swimming toward you, grabs you by the hair, yanks you struggling and sputtering to shore, flops you onto the bank and declares: "There--you're safe now! You've been rescued." How would you feel? Astonished? Offended? Infuriated? Maybe even violent, but certainly not rescued. You would have no appreciation for your rescuer either, and in reality, no one would come along to do that because it was not necessary. But what if the conditions were different? This time imagine that night has fallen quickly and caught you off guard, you've used up your strength swimming out to the center of the lake, you are alone and now you're much further from shore than you realized. In the darkness, a thunderstorm starts to whip up around you, rain begins coming down in sheets while the wind blows savagely, sending wave after wave against your face as you struggle just to stay on the surface. You have completely lost your direction and you realize that you cannot survive this. Now a replay: suddenly someone is swimming toward you, grabs you by the hair, yanks you struggling and sputtering to shore, flops you onto the bank and declares: "There--you're safe now! You've been rescued." Now how would you feel? Astonished? Relieved? Grateful? Maybe even rescued? In this scenario you will honor and appreciate the one who pulled you from the water. Redemption is a church word for being rescued or saved. It is used both in the sense of salvation from eternal judgement and rescue from peril. It is a word rarely used in our comfortable culture. But in truth, we are usually much further from the safety of shore than we imagine either through sin or circumstances. It often takes the violent storms of life, exhaustion from going too far on our own, overwhelming conditions we can't control, or sometimes the cold fear of death before we recognize our helplessness and our need to be saved. I have been thinking about this lately from a parent's perspective, though not because of anything in our immediate family. I think that redemption in the Christian home is painful. Good parents love their children and pray that they will realize their need for Christ and live accordingly, growing in respect to salvation by relying on Him and recognizing their need. And yet parents will often do everything in their power to keep their child 'safe' from the very circumstances God would use to make them aware of their desperate state. It is counter productive. Should those circumstances wreak havoc with the child's self-righteous-esteem or rock their otherwise ambivalent outlook, then parents tend to mourn and wring their hands for what seems lost and what may come. But what seems lost is just an outward appearance and God judges the heart anyway. If we are worried about what others think then that is a sin in itself that we need to address before even considering where our children are at. As to 'what may come', it could not be worse if salvation is not certain. I am convinced, as one who was there in my own younger life, that sometimes the one who is furthest from shore is nearest to being rescued because they have the greatest chance of seeing their need. And I am always amazed at how far the Lord is willing to let a person swim from shore so that they will realize how truly needy they are. Have you been shown mercy? Then you must have deserved something terrible. Have you felt the Lord's comfort and nearness? Then you must, at some point, have been very broken. Have you tasted the goodness of God? How would you have known it's sweetness without a bitter badness to compare it to? Redemption requires a reason. A person saved from nothing has not been saved, and a person saved from very little treasures their salvation very little. Redemption will never be valued where it's need has not been desperately felt. Unfortunately a parent can't escape feeling it together with their child, especially as they grow up. It is ours to bear. I imagine that even as our Heavenly Father allows us to swim further and further away from shore, He longs to scoop us up and save us the pain. Fortunately He knows exactly what is needed and is willing to wait until we, or our children, know what is needed, too. If I would declare and speak of them, They would be too numerous to count. I took a favorite friend and we went to scope out the competition 3 weeks ago. In truth, having never been, I wanted to go to the nearest Whole Foods Market and Trader Joes--about 40 miles from home, but only after an obligatory stop at my favorite architectural salvage and community development center in Cincinnati. We walked through the doors of Building Value on Spring Grove and there against the wall was the most gorgeous line-up of doors I have ever seen and very unlike the usual suspects that end up there. They were maple. They were unconventional. They were unique. They were practically new! They were 3 panel hinged single doors, and full-lite glass and maple shoji-style double slide together doors, all 36x80 with hardware that I really liked and the shojis even had the tracks with them. And they were priced at a reasonable $150 for the singles and $250 for the double sets. (Time out to quit hyperventilating. That really IS a good price, especially with handles and hinges, but STILL...) I took pictures. I put them on my Wise Acres Market Facebook page. All I needed was confirmation that we were nearing an agreement on the building and I would be back to take my babies home. Cut to Monday. Having heard that we are nearing an agreement, I decide I should go get my doors before somebody else does. But I know they'll be waiting for me, because they are mine. I call just to be sure, and I am told that they can't sell them to me because they have been put onto an online auction that ends...tomorrow. (Preview time is over, there will be no picking and choosing!) I get the info, scope out the site, plan my plan, and make sure I am at a more reliable internet connection than my own as the end of the auction nears. To say that I prefer the real, physical, raise-my-hand or nod-my-head auction where I can size up the competition, to this cold, anonymous, electronic version I endured on Tuesday is an understatement. But even so the Lord led during the bidding, and I let all the single shojis go, deciding to focus on getting half of the double sets (10 doors), all of the regular doors (8) and the two oddballs. (Including a full lite glass door with sign that says "Quiet Zone, please walk and talk quietly upon entering." For my office, of course.) I got them. 20 of them. At an average price of $80 per door. Happy, happy dance. So today we arrive to get them, which by the way was a LOT OF WORK, and we discover the reason I liked the hardware: it is EMTEK. Who knew? The God of the universe has excellent taste in door hardware. We ended up with one more door for $30 as it was cracked and unsold. I tried to talk her down to $25, but she said the hardware was worth $30, and I agreed because I was pretty sure it was worth $60. But actually she was wrong, and so was I. When I got home tonight I looked up the handsets online and they sell at a discounter's for $115.50 each plus shipping. If you see me in a neck brace soon, don't panic. It will just be the result of me constantly shaking my head back and forth in wonder as I keep seeing the Lord do all this really, really cool stuff. Footnote: So I looked online for 3 panel maple doors, and though I could not find these exactly (I think they're from Japan!) I did come up with a reasonable comparison on sale for $370 ea (not including shipping) and with no hardware. The handsets cost at least $115, and I didn't bother to price out the hinges, b/c I already know those can't be had for under $20 a set. So basically I paid an average of $80 for a door that would have cost over $500. I am supposed to be making phone calls and sending emails about buildings and contracts and doors and architect stuff, but I am anxious and feel inclined first to jot down a couple of thoughts related to the title of this post. Perhaps thinking through them in advance and putting words to them will help when the inevitable time comes for one of those big withdrawals. I have the uncomfortable sense that it is imminent. In the fall of 2009 I sensed the Lord moving me to start planning a market and cafe. Part bulk and natural foods, part Amish deli, part local goods, produce and art, part laid back Pacific Northwest coffee house with really good, and good for you, stuff to eat, all dropped down into rural SE Indiana. So I spent the next two months intensely researching and accumulating information and I scoured the area for the building. I looked at what was on the market, but there was only one--ever--that was THE ONE. It was the H Auction Building and it was in use. Nevertheless I called the number on the truck parked outside and inquired. I asked if I was speaking to the owner, and the answer sounded like a yes. I asked if the building might be available for sale or lease and was told no, no interest in that at all. But later that day I had the realization that I had not spoken to the owner, but the tenant. Looking into the county records, I found and called Mr. B. and he was very interested in both possibilities and arranged to show us the building. Ka-Ching. "Stop for now." So I did, more than slightly confused, but willing. 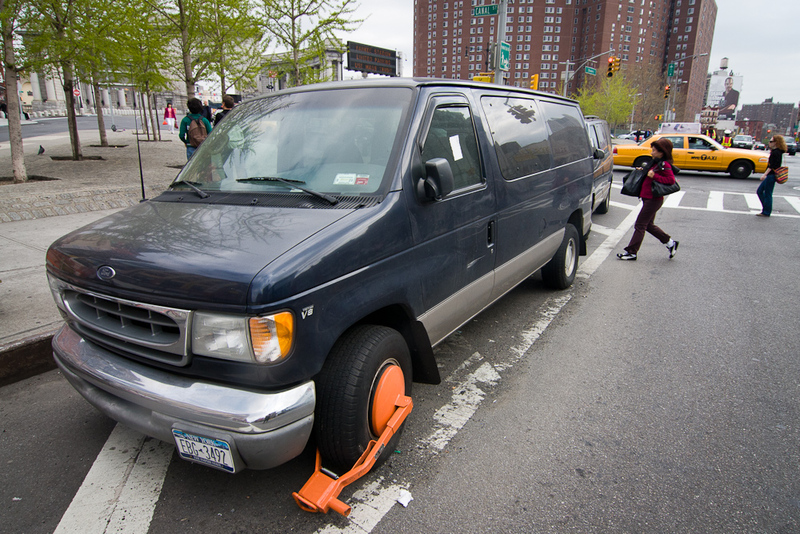 Any time I thought about moving forward I would get the same image of a big metal "wheel boot" clamped on the tire of a car. The message was clear that I would be going nowhere, so I was content to wait for more instruction. The next year I became ill and stayed that way for 9 months. But when spring came this year, so did the sense that we should look again into the market. Mostly it came from G who quit holding his hand up when we drove by the building and started sending me links to local organic distributors and other items of interest. Then came the day he said, "I think you should plan to open in the fall." So we asked our church family to pray with us for wisdom on something big and we waited. After a month or so we felt compelled again to move forward and I emailed Mr. B. to check on the status of the building--Did he still own it? If so was he still interested in selling, etc? Two days later he responded, surprised, but very glad to hear from us, and informed us in a short reply that the tenant had died unexpectedly 10 days earlier, the man's family would be cleaning out the building, and it would be ready soon, so when did we hope to open and when would we like to meet? Ka-Ching, Ka-Ching. It was confirmation enough, and it was also the first of many noteworthy deposits into a spiritual bank account of faith and provision for this task, from which I draw a daily stipend. I don't think I will never cease to be blessed and stunned by the circumstances surrounding yesterday's post (The Foreknowledge of God in a Box), but even before the day was out my natural bent toward anticipating the worst was beginning to wring its hands about what must be coming down the road. It is the wrong response, I know, and soon I hope to alleviate some of the anxiety with some time of putting those hands up to the Rock that is higher than I. ...Enter the ever-faithful, ever-trustworthy Lover and Keeper of my soul. The One Who will NEVER leave me nor forsake me, the One who knows my every need and sometimes provides immediately. I am amazed yet again. Today I was reminded of the unfathomable plans of God and how He delights to bring us into them. Today I stood speechless outside my corncrib and quite literally remained glued to one place for minutes with my mouth hanging wide open in awe. Today I stood, stunned, and worshiped a God who includes me, nothing, nobody me, in His fascinating plans for this world. We moved to Aurora, Indiana a little over 6 years ago and sometime during that first year I picked up an old, over-sized mailbox for $3 at a garage sale. I didn't need it, didn't use it, don't collect memorabilia, and even when I tried to find a function for it could not. Then I thought to sell it, but didn't do that either, and so it sat in the corn crib untended ever since. I have a vague recollection of looking for the address once or twice as I passed by the location painted on the box, and another vague recollection of never figuring out precisely where it came from, but that was long ago and of little importance at the time. I am not blogging much these days because I am consumed. I am pursuing opening a natural foods market and cafe in our town, and to say I have been astonished by God's divine 'push', counsel, guidance and provision thus far as I have tried to obey this commission does not begin to tell the story. And it will not be a short story either, when I am finally able to tell it, because God, His plans and His dealings with His children are complex and worth hearing in fine detail. So last month I asked the owner of the warehouse what the specific address is there, as no numbers grace any of the buildings. He told me that originally the plant all had the same address, but after the lot was divided some time ago, the warehouse, which was the local Coca-Cola plant for a time, was designated 718 Green Blvd. I may not own building yet, but I've owned the mailbox for over 5 years. Midnight. The perfect time to try to express some of what has been happening in my life and heart lately. In truth, there does not seem to be another time in the day that allows me the luxury/necessity of sitting a bit in silence, letting the activities, conversations, decisions and thoughts of the day settle enough to contemplate the bigger picture. I have missed it. When I was 18 and I heard the truth about my sin, my separation from God, and my need for the Savior Jesus--who alone can bridge that gap, I acted on those truths by giving myself and life to Him. But in reality I had numerous misconceptions. Not so much in my need or the process, but more specifically in the outcome. I began attending a church and admired, sometimes from afar and sometimes close up, the ladies I presumed to be most godly. Somehow I always identified the women who were least like me--diminutive, quiet, feminine--to think of when I would pray "Oh Lord, please make me a godly woman." Surely God's plan for every Christian woman involved long skirts, floral blouses, teaching children's Sunday School and having a mysterious, demure inner quality. It makes me smile now, because I believe it made God smile then, yet He honored my request, even while knowing that getting what I wanted wouldn't look the way I imagined. In His kindness He has been answering ever since, though I have yet to shrink, can hardly be called 'quiet' and will never be described as 'feminine'. What does it mean to be 'godly'? Obviously it means to be 'like God'. And our example in the flesh of what it means to be like God came in the form of Jesus. To be 'godly' is to be like Christ and Christ was, above all things, obedient to the Father. It was so much the center of his focus that He called it His very food. And when the painful reality of what it would cost Him drew near and He desired to avoid the torment that was planned for Him, yet He prayed: "Not my will, but Yours, be done." He fully entrusted himself to the Father's plan for him as GOOD and RIGHT and BEST. That is godliness, wanting what God wants, and that is the kind of trust I want not just to have, but to act on. I really thought that the farm animals were a good idea, such a good idea that I am fairly certain I never once prayed about it. If I had I am not certain that God would have changed a single thing, but now I'll never know. As it is, I got what I wanted--in perfect detail--so there are no illusions of what might have been. I am relieved to have understood His will and begun acting on it, and I'm pretty sure that it took getting what I wanted to see that I was wrong. If I had never tried and failed I might even have imagined that I was giving up some good thing for His sake, when in fact He just has other plans for me! Jim Elliot, a man who gave his live in service to Christ, wrote: God always gives His best to those who leave the choice with Him. And Proverbs 3:5,6 says: Trust in the LORD with all your heart and lean not on your own understanding; in all your ways acknowledge him, and he will direct your paths. Through much experience I have learned that my plans and the Lord's often look very different, but by that same experience I know that His plans are always best! It's such a good place to be! And what a comfort that Romans 8:28 reminds us that He works all things together for good for those who love Him and are called according to His purpose! A friend recently posted: "You have plans. God has plans. Your plans don't matter." Lol--exactly! I believe this with my whole heart. Wanting God's plans over my own--that is what godliness looks like. How blessed I am that I am always getting what I want--opportunities to be more like Jesus. Unlike Jacob, I didn't realize I was wrestling, but the pain in my hip tells the truth. God has prevailed and now that I know what He wants, I am obeying. Our family is done with farm animals. Whether this is for a season or for a lifetime I do not know, and do not need to know, because that is the Lord's business. For years I have tried and struggled and fought and failed to fill our barnyard and farm--it only makes sense, right? We have a 3-story barn, 61 acres, and two hay fields for Heaven's sake! But God's ways are higher and better, and now that He has made it clear I want to obey quickly. --maybe a bantam cross rooster, too? --a mix of varieties, all a year old and laying: buff-colored bantam crosses, a Wyandotte, an Auracauna, RI Red, Danish Leghorns, Wellsummers, and others. --She requires farm animals, and a lot of room to roam that is fenced. She does not guard chickens but rather longs to play with them (and it's not a fair match! :) She would do well with cattle, goats, llamas, and probably horses. It is good to obey the Lord, even when it hurts--maybe especially when it does. I believe the pain will be short-lived. Feel free to pass this on to any you think might be interested. Tagging some who I think may know others of interest. To blog or not to blog, that is the question. This evening the answer is--to blog. It has been a very full couple of weeks and only time will tell if or where this exercise of blogging falls in the new framework of life. Here is a small something that brought a smile to my heart recently. Since we began 'goat shopping' late last winter, I have seen pictures of beautiful spotted dairy goats. Always my response was "OH, I SO want one!" They are interesting and unique and lovely. Usually Nubians or Nubian crosses, I think they are positively beautiful. However, they are also much more expensive than run-of-the-mill goats, because apparently I am not the only one who admires them. So, armed with the awareness that in the scheme of life spots on goats are not important, I settled the matter--I would never own a spotted goat and that was okay. I would aim instead for owning a couple of good milk goats. That is no longer true. K is home from missionary training a week ago, and when Dad and C went to get her stuff they brought home two goats. One was the doe K had learned to milk (and expertly I might add), the other a young whether for meat. She had meant to send me pictures, but in the course of studies and life had forgotten. We had talked about the goats, but never what they looked like. As the time for her to leave drew near, we offered the owners a pitifully low figure for the two with our apologies and the understanding that we would in no way be offended if they declined; it was simply all we could afford to spend. Not only was the offer agreed to, it was the same low price they had thought of themselves. In addition to the goats and some hay, they sent a milking stand, a stainless bucket and lid, natural wormer and some other supplies, and this after trimming their hooves and worming them. We were greatly blessed. And then they arrived. When I looked into the trailer I caught my breath, and then I almost cried. I hadn't told Hunky or anyone else how much I wanted a spotted goat. The Lord was the only One who knew. So as I gazed upon our new doe I knew I was looking at the carefully chosen gift from a kind and tender-hearted Heavenly Father who loves me. The doe is SO spotted. She is interesting and unique and lovely. And, also of importance, she gives an easy and generous quart of delicious milk each day. I don't think enough on the love of God, although I love Him, and I know that He loves me. I suppose maybe I don't want to expect or demand these kinds of blessings. Or maybe I just don't want to be disappointed. We live in a fallen world with fallen people and life reflects that, so I try to keep all that in the right perspective, and then in so doing I am surprised by His small kindnesses to me. But the truth is that God is Love. It's not a greeting card sentiment or some vague spiritual mantra. It is the very word of God found in the scriptures. It is who He is. It is the Truth. And where it matters most is in the salvation of my soul, but if it takes a spotted goat to remind me, I will be very happy with that as well. That is a basic tenet that I rely heavily upon. The Lord asks things of me, frequently things I am not excited about doing because I am tired, lazy, selfish, busy, hard-hearted or just plain rebellious, but I usually kick myself into action knowing that I am His to command and remembering that He will supply my needs. The satisfaction of a powerful time of prayer for a family in need of divine intervention. An unexpected pizza party with most every young person I get to associate with. The relief of being not just secure in a treasured friendship, but loved perhaps more, after communicating hard but needed things. Being witness to the overflowing joy and passion of a couple newly walking with Christ. Recuperation in the Spring and Summer not only to do what needed to be done, but also to do what I REALLY enjoyed and finally seeing my home come together (after 6 years). Recent realization after 3 months of said enjoyment that I am ready to do something more meaningful than work around my house. The nudges of God to move forward and the potential to see a dream fulfilled while dragging as many people as possible through the unexpected provisions and joys with me. Admiring the sweetness of two who are now one, meeting a new friend, and eating Strawberry Pie at the reception of dear newlywed friends. Like Strawberry Pie in lieu of bread, is how the Lord has supplied me lately. I have expected the basics, the austere satisfaction of knowing I did what He asked or what I should, but then in a breathtaking flow He lavished me with riches. ... according to His riches in glory in Christ Jesus. Why do I think that the One who stripped Heaven of its greatest treasure, willing to abundantly suffer and die to secure my salvation, would be any less generous with His day to day provisions? Why does it surprise me to realize that He is equally blessed to bestow complex joys as well as simple satisfaction? His are all the riches in the heavenly places and He takes joy in sharing, especially with those who will recognize His kindnesses. I am so blessed to be His. I know enough about life to realize that the sense of this season of abundance will not likely last. It is not to be arrogantly demanded, but humbly enjoyed; it is sweetest that way. In life, it is His table and He serves up what is best. Sometimes it is bread, but sometimes it is Strawberry Pie. I don't know how this wall color looks on your monitor, but on mine it's close. Should be a dark teal. And here is that fabric C found for me. It will be valances in the breakfast room and stripes on the bathroom towels. I will try to post a picture and comment or two each day. I'm no photojournalist, but I'm willing to share. I like my life. It's pretty random, and I find it interesting. I am a forty-something wife and mother of 3. We live in the country and love Jesus. I like solving problems in new ways and thinking outside the box. My goal in life is to say "Yes, Lord! Now what would you have me do?" Lately He has chosen to slow me down in life and I am learning to appreciate it.